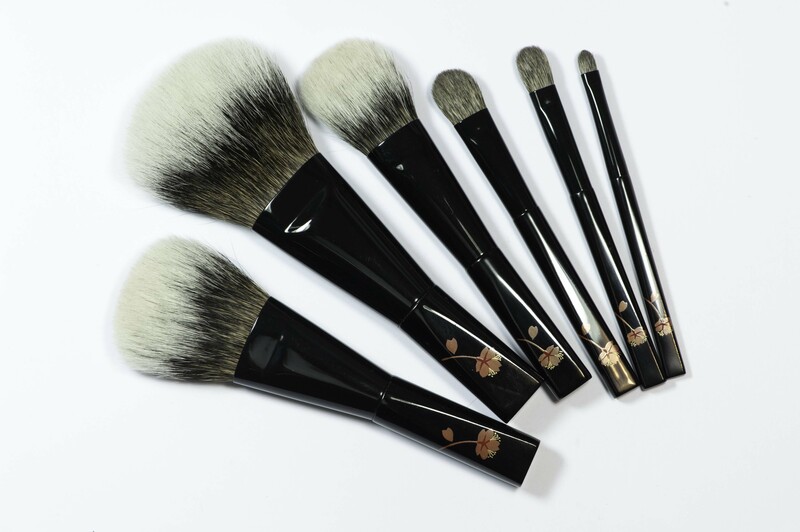 Some months ago, Koyudo released this White Canadian Squirrel 6-Piece Brush Set, some friends started ordering it and since those kind of exclusive sets can be really expensive (over 1000USD), we split a few. For me, it started with one brush but I still ended up with the whole set! 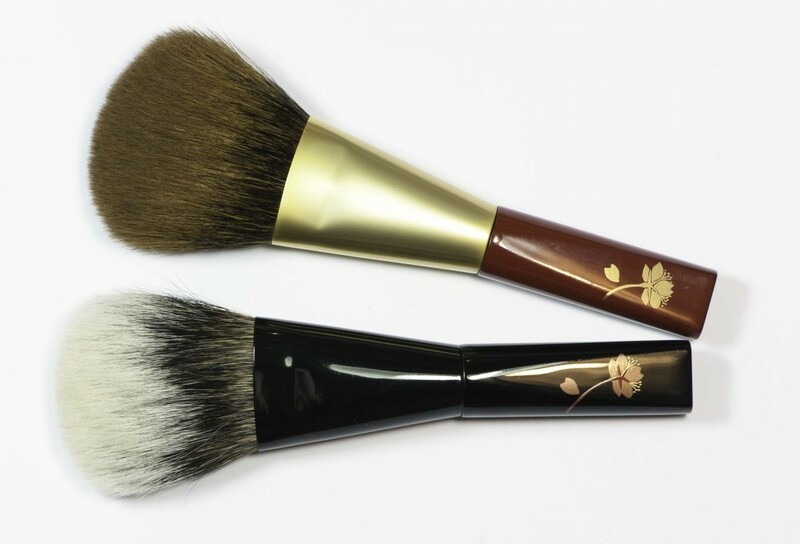 The biggest brush was a present from a sweet friend, the others I purchased slowly. 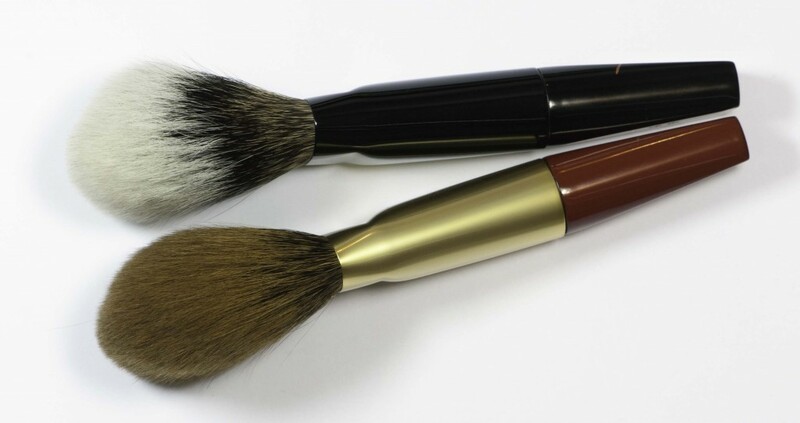 These brown/caramel canadian or white/grey canadian squirrel bristles have the particularity of being stronger than grey/blue squirrel, they blend better, they don’t look as nice or even but they do work wonders, they are the favorite of many make-up artists. I received several questions to compare this white set to the current caramel/brown canadian set so I share these pictures. In terms of usage and results, the white is softer but it will get dirty as of first use, it’s more fluffy and airy (splays out more), the results are very similar with both, the white will deliver a slightly more diffused application but the difference is barely noticeable. 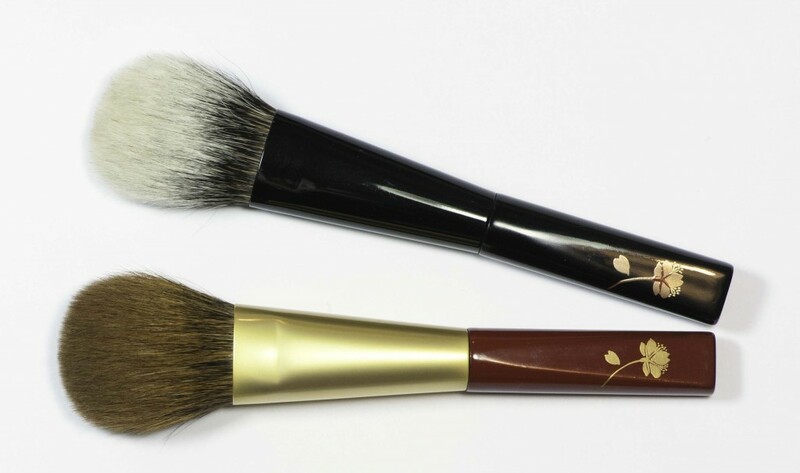 It’s similar in size, the bristles are 5.5cm long and they splay out a bit more, more airy but super nicely dense, it’s my fav brush of the set. 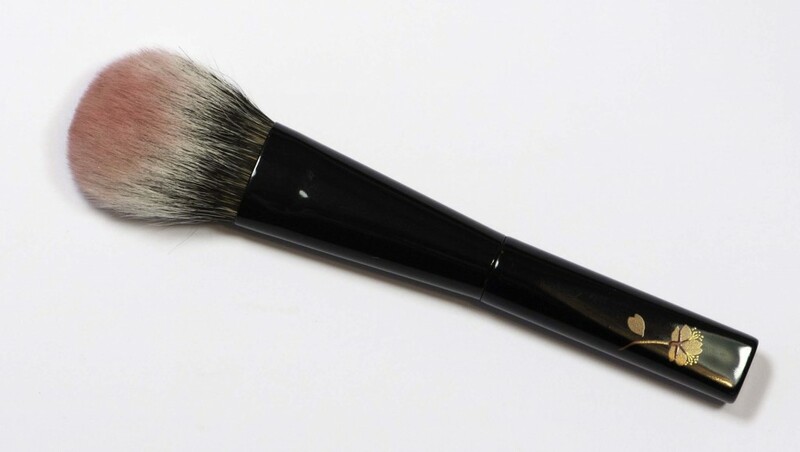 This one seems more directional, bristles are 4.5 cm long, it’s very powerful to remove excess powder or blend your make-up application, very multipurpose. Since this brush is a bit thinner but still dense at the surface, you can use it in many different ways. It’s a beautiful gem, when you first receive it, it’s quite flat then after wash it fluffs out like magic. 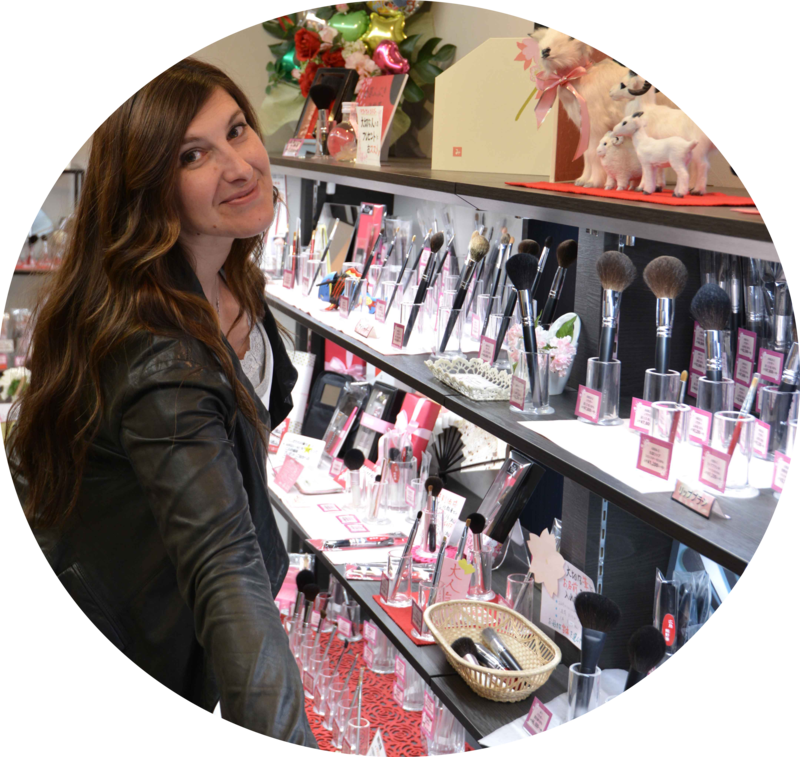 You can alter the shape of bristles depending on how you store it or how you wash it, if you use brush guards or not. 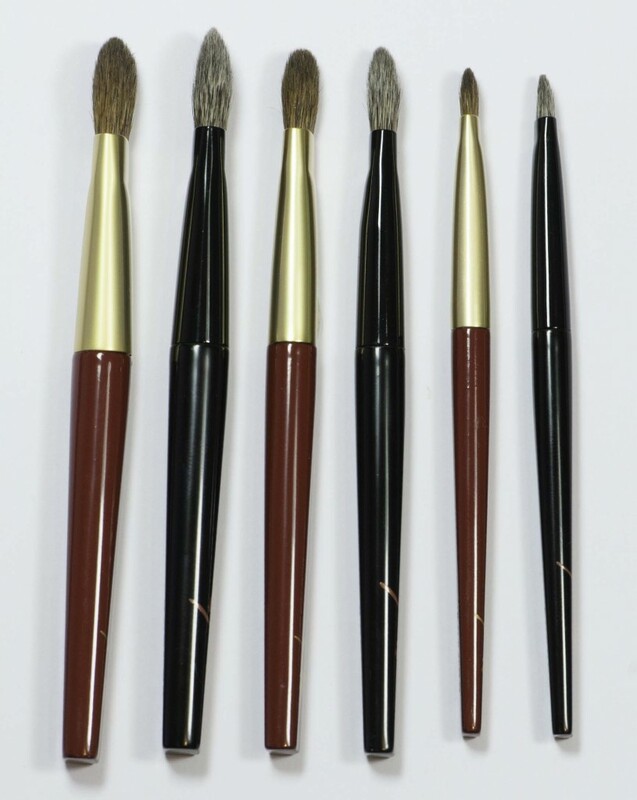 The normal caramel bristles don’t have that issue or benefit, the white ones are more what you make of them. In comparison the caramel/brown ones are firmer and thinner, the white/grey fluff out more and are better for blending. These are liners that are strong and keep their shape so powder lining with them is fantastic, lines stay thin, well defined and super controllable. 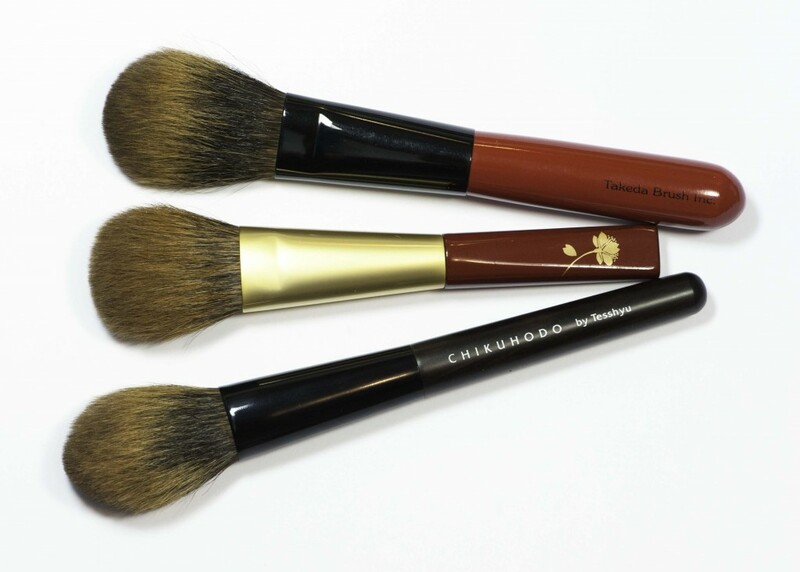 You also asked me how the Koyudo canadian caramel/brown bristles compare to the similar Takeda or Kiwami brushes, the Takeda are the softest but their brushes tend to be more thin, not as directional, and super expensive. 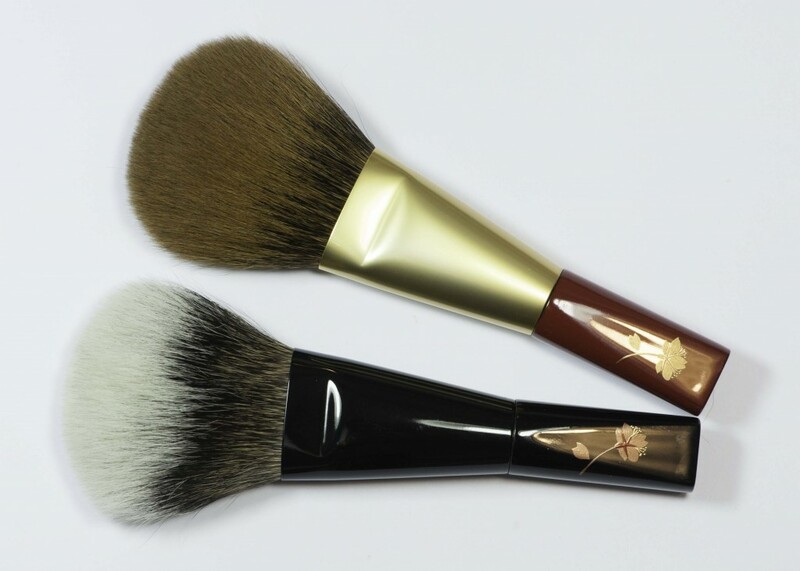 The Kiwami’s bristles do not appear that disciplined or neat but in terms of results they will blow your mind, hoping this set will be released again in the near future. The Koyudo are the firmest, strongest, a bit more rough but the results are really good and their prices are a bit better although all remain super expensive. 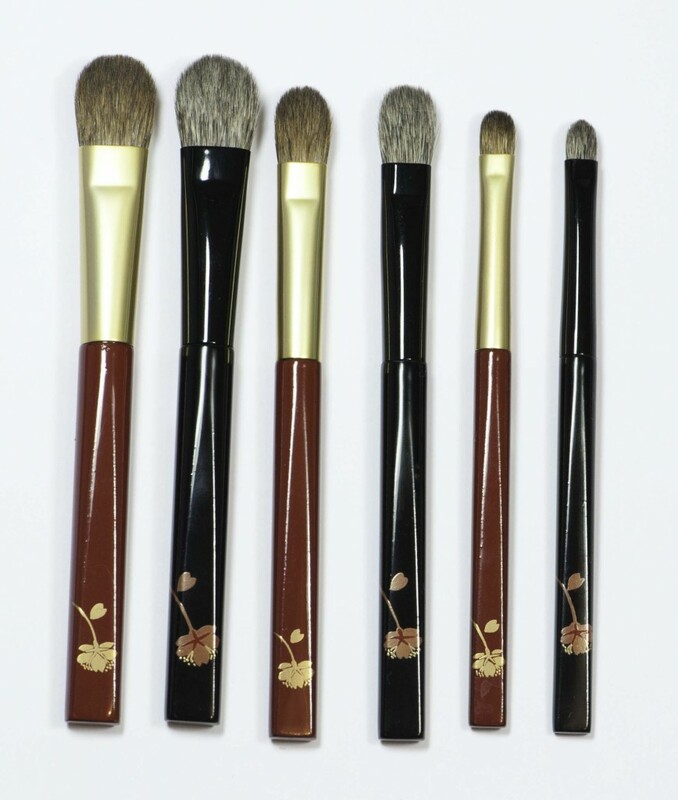 Unlike the Koyudo Yakusugi set, which I think is beautiful to have as a complete set, this white canadian set should be available individually so that more of us can afford getting one or two of the brushes, maybe you can find someone with whom you could split the set, that is also an option 🙂 although there is a risk you may end up wanting all of them! KOYUDO – White Canadian Set was last modified: December 21st, 2015 by Sonia G.
The Kiwami goes BEFORE anything else, it will most certainly happen so don’t lose hope!!! This is a super interesting read for those of us who don’t have all the various types. Thanks, Sonia! You are welcome Lyanna 🙂 hugs! 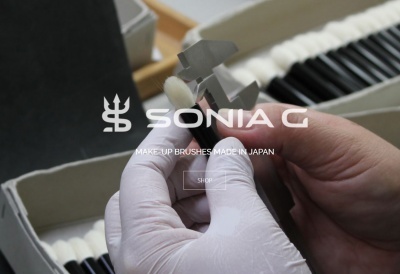 Sonia, the Kiwami you show above – that’s the cheek/highlighter size and not the bigger blush size, correct? thanks for confirming! I have to be ready to pounce on splitting as soon as the set becomes available again!